Shiloh Ranch is in the Mayacamas Mountain Range, located five miles east of the winery on Shiloh Road in Windsor. 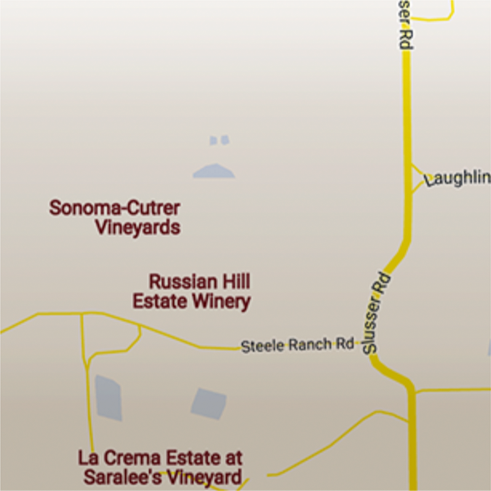 The vineyard lies in the Chalk Hill viticultural district, a part of the larger Russian River Valley appellation. Its soil is "Franciscan Melange," composed of marine seabed, volcanics, basalt, lava tufts and compressed ash, plus alluvial deposits from the Mayacamas Range and the Russian River. Southwest exposure on the western face of the Mayacamas Range creates a warm microclimate. Chardonnay grapes from 167 acres of this vineyard are used in our Russian River Ranches and Sonoma Coast wines.